True Health Starts With Every Single Cell in your Body. Take the True Health Assessment & Find out which products are perfect for you! Taking high quality supplements is like owning an insurance policy against common nutritional deficiencies. A good multi-vitamin provides our cells instant access to the micronutrients they need to build muscle, maintain healthy bones, support the cardiovascular system, protect the brain, enhance the skin, and so much more. 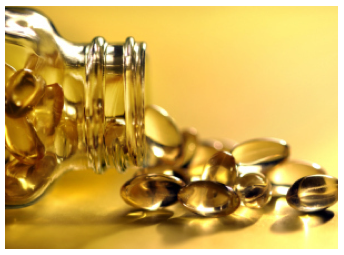 A pure fish oil supplement helps fight inflammation by supplying much needed Omega-3 Fatty Acids, which also help support the immune system, the brain, skin & hair. A potent, and tested, probiotic strengthens the digestive system and supports the gut - which, truly, affects all other aspects of our health. In a perfect world, we could get all of this from the food we eat. But we don't live in a perfect world. We live in a world where the soil has been greatly compromised, stripped of vital nutrients. And, lets face it, we just aren't eating the required quantities of fresh plant foods daily that it takes to provide all of those micronutrients. I have searched high and low for the right products to recommend to my clients. With 5 Star Gold Ratings in the Comparative Guide to Nutritional Supplements, numerous perfect scores by Consumer Labs, and more happy clients than can be counted, I settled on a product partner. If you're ready to up your game, and take your health to the next level, please use the link below to get started. Simply select "My Favorite Products" from the menu page to pick and choose what fits your life and budget. Personally, I love them all!! Feel free to email me with any questions.